It’s time for a new year, and that means brand new New Year Resolutions! Here are some beauty resolutions we recommend for you, that aren’t too difficult to keep. Pre-booking your appointments is a great practice to start in 2016. Whether it’s for your Root Touch-Up, your Undercut Clean-Up, or your Bikini Wax, booking your next appointment after seeing your Stylist or Esthetician ensures you are saved a spot in the appointment book with them. At Hair Republic, you can also reschedule your appointment, or cancel, if needed. Pre-booking with us is a way for you to get a future appointment with your favourite beautician! Stop wasting money on products not right for your skin. At Hair Republic we are proud to carry Dermalogica as our skin-care line and offer complimentary Face-Mapping for you to know what type of skin you have and which products it would benefit most from. We also offer a 20 minute Microzone Facial that targets the skin repair you’re most in need of. With this particular facial you will also leave our Lounge with a months worth of Dermalogica products perfectly suited to your skin! It’s better for the environment, it’s better for the animals and it’s better for you! 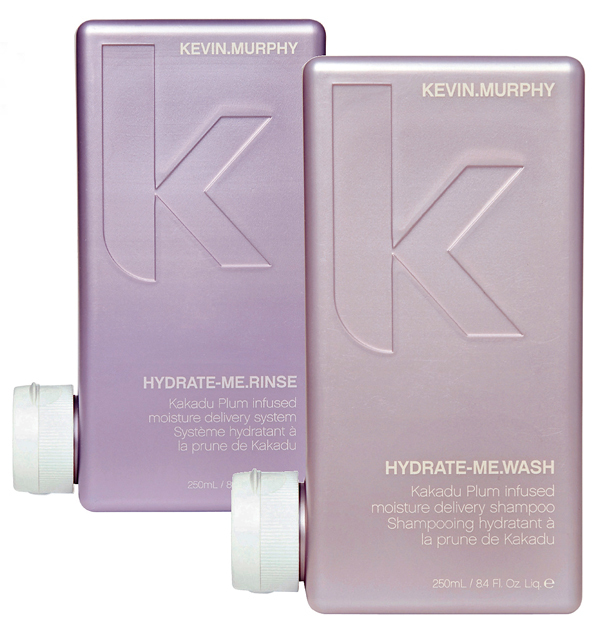 At Hair Republic we carry lines like Kevin Murphy and Demes which are free of all three. Try out a Butter Me Up body butter by Demes and the Hydrate Me Masque by Kevin Murphy to get you through the cold and dry winter. The gel manicure featured here is a gorgeous sparkle french tip by esthetician Angela Thok. Try out something new that makes you feel good. We recommend having a Signature Facial done – ever had a face massage? Pair it with having a set of Elegant Lash Extensions applied – bye-bye messy mascara, hello flawless lashes! Try out our New Year Beauty Resolutions and make 2016 a fantastic year! Kevin Murphy and Demes product photos from http://www.kevinmurphy.com.au and www.demesnaturalproducts.com. Hair Republic | Salon opened it’s doors to the people of Old Ottawa South in October of 2011. Since then it has built a dedicated clientele, a talented team and is preparing to enter the spa world by introducing a beauty lounge to their already successful salon. For the past four years, Hair Republic and it’s team have not only built a reputation as a professional hair salon, but as a philanthropic business within the community. Michelle Nguyen (owner of Hair Republic | Salon) credits most of their success to the support they have received from the Old Ottawa South community. Hair Republic strives to give back to this community by supporting other local businesses and participating in charity events within the area. Through the years, Hair Republic has participated in events such as the annual CHEO BBQ, Angel Hair Cut-A-Thon and the Every Leaf Counts campaign for the Hopewell School playground. The team at Hair Republic all care deeply about the charities and organizations they work with, and are always excited to volunteer their time and talent. In addition to the fundraising and charity events they partake in, Hair Republic also partners with organizations in order to improve the salon environment. All artwork in the salon is done by local artists who are represented by IAM Management. Collections are showcased in the salon for three months to a year before new artwork comes in and another artist is presented. Not only does the artwork refresh the walls of the salon, but it gives artists a chance to show their work to a variety of people. Hair Republic also closely partners with Green Circle Salons (GCS); an organization that works to ensure salons are reducing their impact on the environment by enforcing environmentally friendly procedures. In 2014, Hair Republic helped GCS keep 389,651 lbs. of waste from the environment in 2014. Hair Republic makes every effort to make sure the salon is as ‘green’ as possible, and this can be seen in the products they sell to the design of the workspace itself. The design for the new expansion will also do it’s best to make use of environmentally friendly techniques. The Hair Republic | Beauty Lounge is designed to be a place for express spa services. The beauty lounge will offer a range of services (including facials, manicures and waxing) and be a social atmosphere for people to ‘relax on the run’. While most people would love the opportunity to relax at a spa for hours, the reality is that very few people have the time. The Beauty Lounge would be a place where people can go for their treatments before picking the kids up from school, during a lunch break or after class. Michelle Nguyen first came up with the idea to expand the salon into a beauty lounge after a night of casual fine dining. Casual fine dining let’s customers experience all the elegance of fine dining while in the comfort of jeans. She was inspired to bring the high quality services of a day spa into the relaxed yet trendy environment of her salon. To help with this spa expansion, Hair Republic enlisted the help of spa expert Tina Rodrigues. Tina has been in the spa industry for over 14 years. As someone who has been in the industry for a long time, Tina was excited to come to Hair Republic because of the creative environment they offer and the ability to help make custom treatments for the clientele. Besides manicures and pedicures, spas are known for their incredible skin care treatments. When deciding which brand to work with, Michelle and Tina knew they had to pick the best products on the market. Voted number one in the industry for the past two years, Dermalogica seemed like a natural choice. Dermalogica uses a face mapping tool that allows each client to receive treatment and products personalized to their skin care needs. Dermalogica is one of the few skin care companies that considers skin care to be both a beauty and a health issue. Their face mapping tool connects different areas of the face (called zones) with potential internal health concerns, such as in the digestive system and liver. Many people forget that the skin is actually an organ, and that it’s health can be affected by the health of other internal organs, and how well we treat our bodies. Dermalogica focuses on healthy skin, and in order to ensure everyone’s skin is getting the best treatment possible, all products are made without any chemical fillers or ingredients that could potentially damage/irritate the skin. The Hair Republic | Beauty Lounge is set to open on December 1st, 2015. While this expansion is an exciting endeavor, clients should not be worried about losing the classic Hair Republic environment. Hair Republic is, and will remain a comfortable, welcoming space for all clients. This post will also appear in the December 2015 issue of the OSCAR. At Hair Republic, we are proud to support Demes: a natural, safe and non-toxic line of products meant for every day, made right here in Ottawa, Ontario. These products do not contain synthetics, toxic chemicals or any animal by-products. 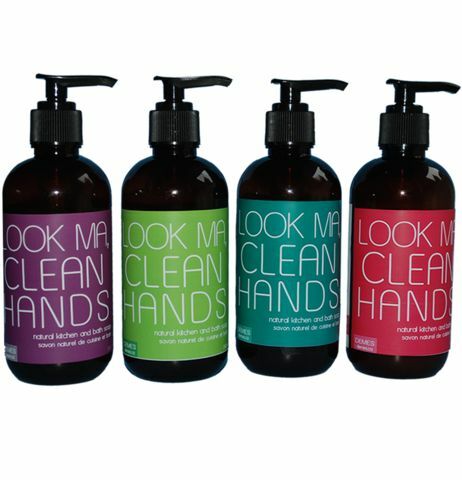 They are 100% vegan and certified Cruelty Free by the CCIC, and their packaging is made to be re-used, recycled or composted. This new lines trending status speaks for itself, having been featured in the 2015 Golden Globe Celebrity Swag Bags. Here at the salon, we’ve incorporated the line into our daily routine and have it available for you to incorporate into yours as well. What it does: eliminates odors, germs and bacteria naturally. It is highly effective on surfaces and air, yet safe for your body. 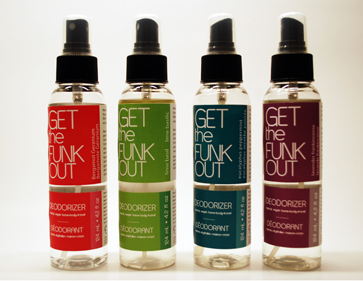 How we use it: we have replaced our aerosol deodorizers with these eco-friendly ones to keep the salon fresh, naturally. How you can use it: spray it on yoga mats, into slippers and shoes or on your pets beds. What it does: a natural kitchen and bath soap that is vegan, biodegradable and lathers well. How we use it: we have these soaps placed at both of our sinks, using it on our hands as well as for cleaning colour bowls. How you can use it: cleaning hands, dishes, counter tops and floors. 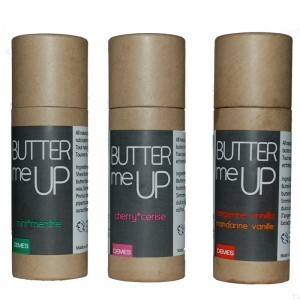 What it does: a moisturizer for chapped skin that comes in a convenient mess free applicator. How we use it: the stylists’ hands are constantly in water all day, which can be harsh on their skin. We keep a Tester Butter Me Up at the Front Desk, and they all like to moisturize their red knuckles with it. How you can use it: whether it is the drying winter air or the chlorine from the pool in the summer, use Butter Me Up on your dry and chapped lips, elbows, cheeks, legs and heels. Where Can You Purchase Demes? Balayage and Ombre are two words we hear very often when clients are booking in for colour, but does anyone actually know the difference between them? The two are comparable, but they can yield very different results. 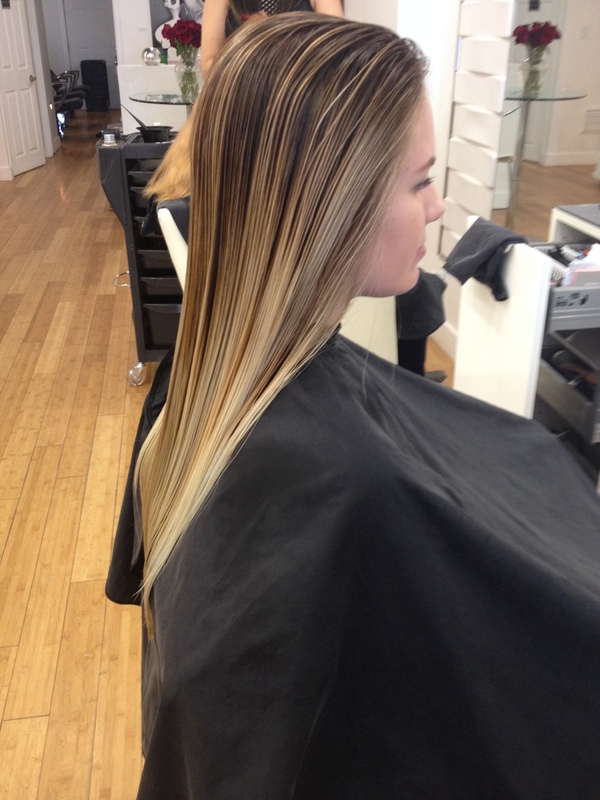 The relationship between balayage and ombre is very similar to a square and a rectangle. In the same way that a square is always a rectangle but a rectangle is not always a square, ombre is always balayage but balayage is not always ombre. Let’s break it down. Balayage is a highlighting technique from the French that means ‘to sweep’. These highlights are done freehand and do not use foils. Balayage highlights are less structured and less systematically placed than foil highlights. Bleach is not always required when getting balayage done. If the hair has not been previously coloured, it is possible to lift the hair with strictly colour. If the base colour is dark or the desired colour is very light, bleach may need to be introduced. 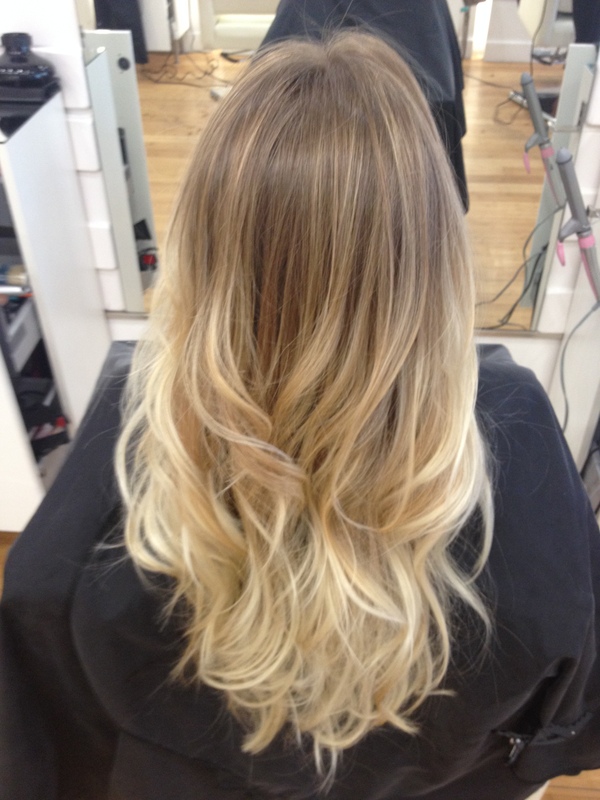 Balayage highlights achieve a low maintenance sun kissed look with a smooth transition between colours. Ombre is a style that uses the balayage technique to achieve a gradual transition from one colour to another. The typical ombre goes from a darker colour at the roots to a lighter colour at the ends of the hair, but it can be done in reverse or with non-traditional hair colours. 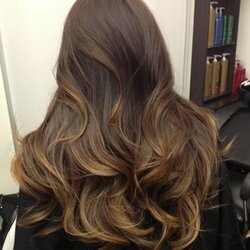 Like the balayage, the ombre is a lower maintenance style as the roots can grow out for longer without ruining the look. 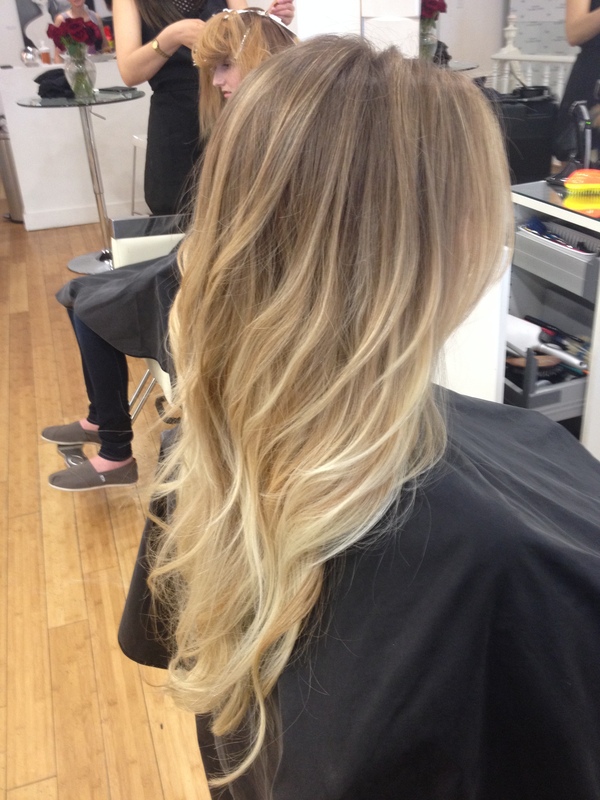 While ombre can be done on any type of hair, it typically looks best with wavy or curly hair. Because ombre is a more drastic transition than balayage highlights, there is a chance that bleach may be needed to lift the colour. Sombre is a much subtler version of an ombre. While still a transition between two colours, the graduation between the roots and ends is much smaller – but it still makes a difference. The sombre is even less maintenance than the ombre because the changes are so soft that it does not need to be touched up frequently. Sombre is a popular style for those who like a low maintenance but still fashionable look, but it is especially good for those with blonde hair, since an ombre can be hard to achieve with lighter roots. Bleach may be used in a sombre, but is typically not needed because the hair is only being lifted by a few shades. Many people shy away from bleach because it can, in high doses, be harmful to the hair, but the use of bleach does not mean that the hair will be ‘fried’ at the end of the appointment. Every effort is made to maintain the integrity of the hair, and treatments like Olaplex can be used throughout the appointment to soften the effect of the bleach without impacting the colour process. It is no secret in the hair world that both blonde hair and long hair are addictive. It’s hard to stop going lighter once you’ve had your first taste of highlights and it’s also hard to commit to the regular trimming of split ends once your hair starts to really reach mermaid hair length. And there’s nothing wrong with wanting to have long blonde hair, the blonde bombshell look has been sought after for decades. Marilyn Monroe’s platinum locks sent women off in hoards to nearby salons to have their hair bleached out to perfection. Much of Bridgette Bardot’s appeal came from her lengthy strands and sultry blonde fringe. And no one can deny that former Victoria’s Secret Angel Gisele Bundchen has caused extreme hair envy with her sun kissed Balayage mermaid waves. But what do these three women have in common? One word: upkeep. While long blonde hair isn’t everything to everyone, it sure is to some so it’s important to be aware of the best ways to maintain it. I recently dipped my ends into the Silver hair trend, just for a taste. In order to try this look out, my blonde hair had to be lightened even more, and the bleaching took its toll. Add this to my lack of recent trims and my ends were looking pretty thin and damaged. I knew by trying out silver I was going to cause some damage so I mentally prepared myself beforehand to cut off some length in the near future. When the day finally came to have my hair cut, my roots were looking a little dark. 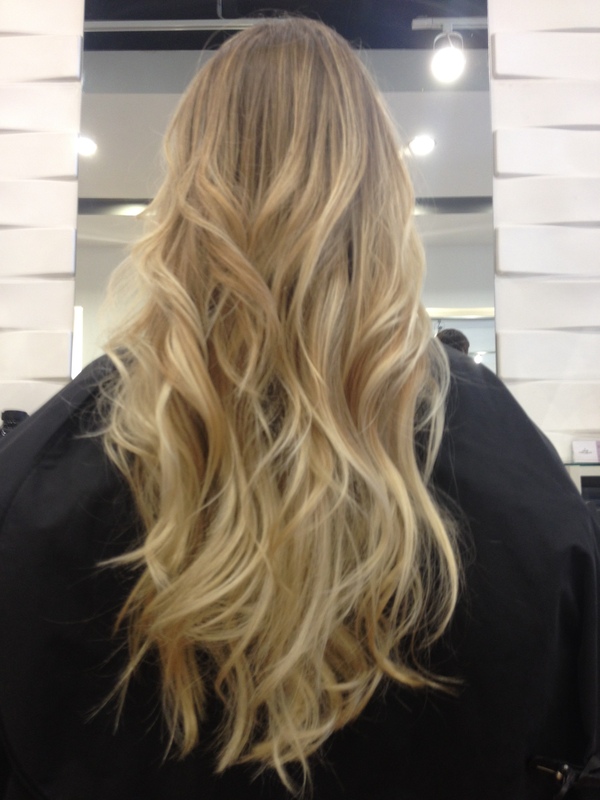 Senior Stylist Vanessa brought up my Balayage highlights using an HR Salon favourite technique called ‘Baby Lights’. These fine highlights, hand painted on at my roots, were just what my hair needed to give it a sun kissed touch-up. She was careful not to overlap the bleach onto existing areas that did not need brightening. Luckily, my hair is pretty strong and can hold up well under bleach. But for those of you looking to go lighter who have fine, weak or already damaged hair, at Hair Republic your stylist can protect your strands using Olaplex. 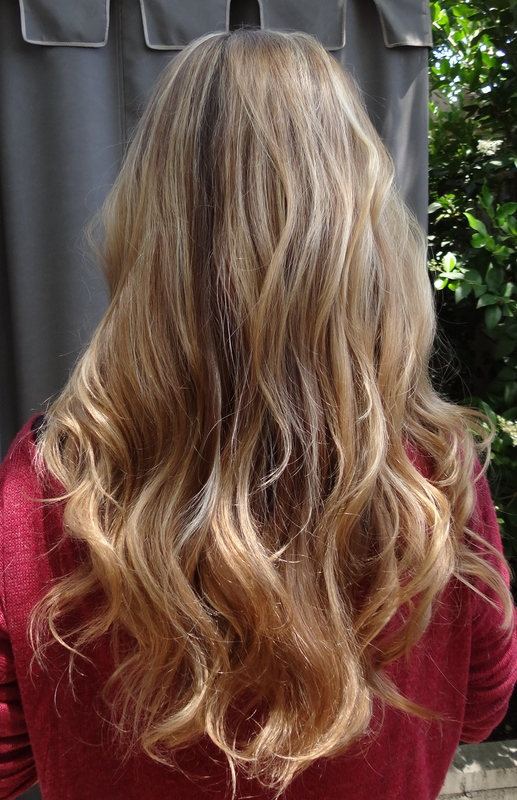 After washing the bleach out, Senior Stylist Karen used Kevin Murphy’s Blonde Angel Wash and Treatment to tone my hair. Before beginning to cut, Karen applied our new favourite leave in conditioner – Eufora’s Leave-In Hydration from Eufora’s Nourish line. This fresh mint smelling leave-in cream conditioner will help keep my hair hydrated for longer and will protect my hair from heat. When it came down to the actual cut, I had initially been thinking 2 inches. But when Karen showed me how little 2 inches of hair actually is, we decided on 4 instead. Trust me on this my long-haired friends, 4 inches really isn’t that much and sometimes your ends just need it! As you can see, my ends are now crisp and smooth. They look – but more importantly feel – much healthier. Karen then added in some layers to give my hair more natural flow when wearing it unstyled, and to curl more easily when using an iron. Before drying, Karen sprayed the Eufora Volume Fusion Spray in, only at my roots, to give my hair some lift. Although I have plenty of hair and don’t need any added volume to the hair itself, the weight of my hair drags it down and makes my roots look flat, so a volume spray at the crown of my hair is just what I need. I asked Karen if I could use this product even if I normally only fluff dry my hair, and let the rest of the moisture air-dry, since I try to avoid too much heat on my hair at once. She told me it would absolutely help, especially if accompanied by flipping my hair upside down when fluff drying. She also suggested spritzing my ends with a texture spray, like Kevin Murphy’s Hair Resort, to give my hair an effortless beach wave when I don’t have time to use my curling iron. After drying, Karen took vertical sections of hair – from root down to the base of my head – without pinning any layers up and curled them with a 1inch iron. This method gives the curl more variety and when accompanied by finger combing them out, results in beautiful mermaid beach waves. Healthy looking and feeling hair. My blonde bombshell look is better than ever now that my roots have been sun kissed by Senior Stylist Vanessa and my damaged and scraggly ends have been cleaned up by Senior Stylist Karen. Having long blonde hair can be extremely effortless, especially with the Balayage highlighting technique but it’s still important to give your ends a healthy trim and your roots a touch of colour now and then. 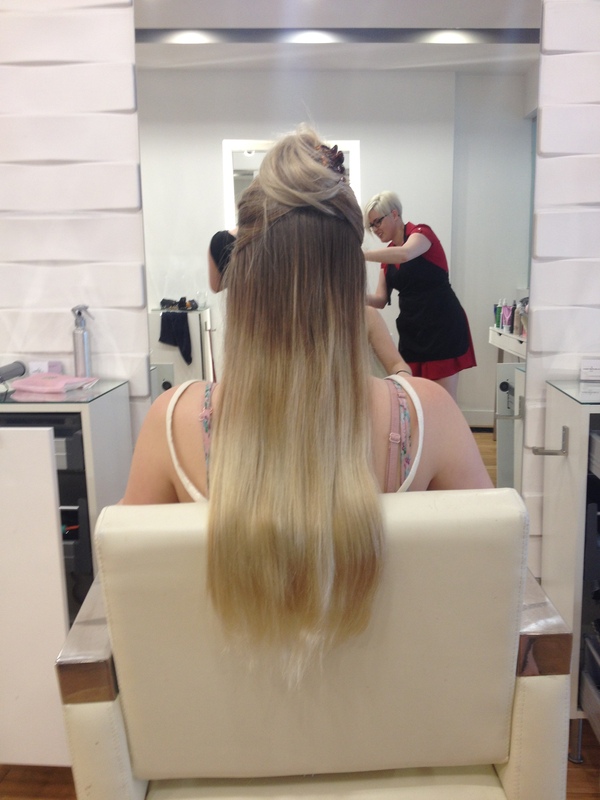 Karen recommends long haired girls have their ends trimmed every 8 weeks to reduce split-ends. 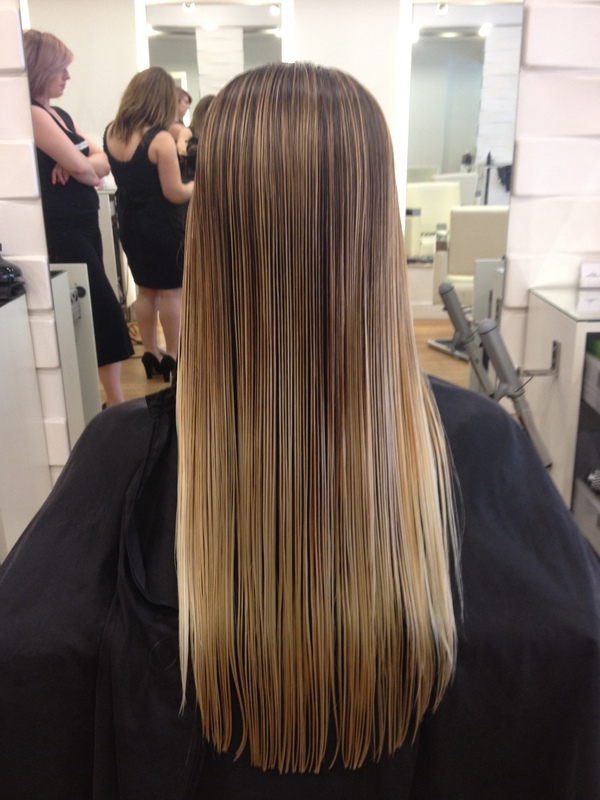 Balayage is a very customisable look, so the maintenance time varies from girl to girl. If you don’t mind your roots getting as dark as mine are, Vanessa says you can wait as long as 8 weeks. For girls whose hair is naturally very dark, she recommends a toner in between colourings anyway. If you prefer your highlights to stay bright around your face, come in and get them touched up every 4 weeks. 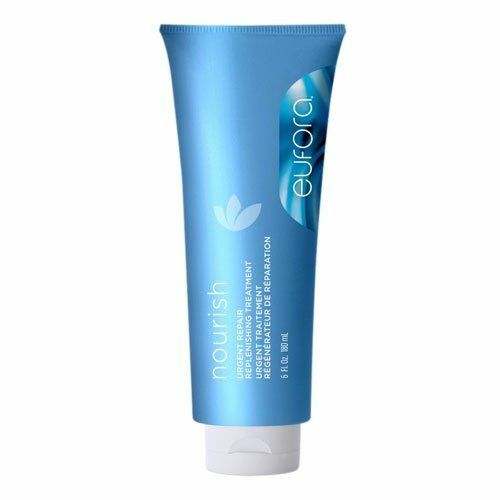 Eufora Nourish Urgent Repair Treatment: this is a mask treatment to be used about every 3rd wash. Take note however, it’s better for your hair not to wash it every day and to use dry shampoo in between instead. So I use this mask at the most once a week, coating my wet but wrung out hair with it and leaving it on for about 5 minutes before rinsing it out. 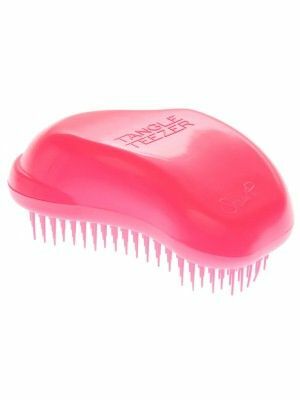 Tangle Teezer: this specially designed brush is made for long hair. You can start at your roots and comb down. If your ends tend to snag, gently comb through your ends, starting from the end and slowly working your way up, before starting at the root and combing all the way through again. Olaplex Conditioner: You can purchase the Olaplex Conditioner at Hair Republic if your hair is especially weak or damaged. This is an important part of maintaining your hairs strength. 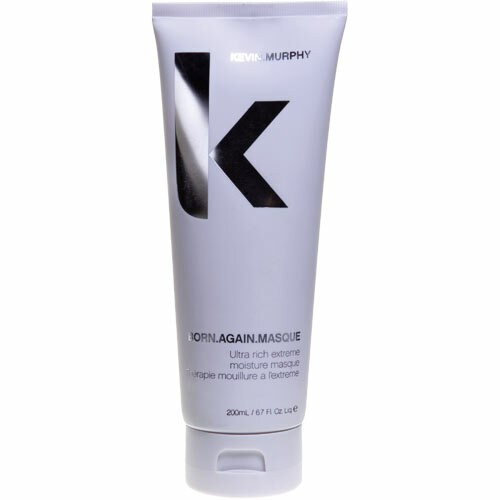 Everyone wants to have silky, strong soft hair, but sometimes using hair masques or products isn’t possible. Maybe you’ve run out and don’t have time to pick more up, maybe you’re travelling and there is nowhere around to buy your favourite product or maybe you are just short on funds this month. Whatever the case is, there are some easy homemade solutions that will hold you over until you can pick up your favourite products. These at home solutions won’t provide all the benefits that a salon product will, but it will provide some extra care for your hair during that in between stage. Avocado is a brilliant ingredient that is great for adding moisture to hair. Mix half of an avocado with a few drops of an essential oil of your choice. Apply it to damp hair for 15 minutes and then rinse. The avocado will provide your hair with oils and proteins it needs while the oil will give it a nicer smell while it’s sitting on your head. Bananas and olive oil are both great ingredients for adding moisture to the hair. Mix one banana and a tablespoon of olive oil together. Make sure the mixture is well blended – almost like a smoothie so that you aren’t applying chunks of banana to your hair. Massage the mixture into your hair and let it sit for 30 minutes. Rinse and then shampoo the hair as normal. Sugar has many uses in the beauty world, but this mixture will help will frizz throughout the day. Mix a teaspoon of sugar and a cup of water and smooth it over dry hair. This will serve as a make-shift hairspray to tame frizz and help to keep stray hairs in place. For sun damaged or dry hair, honey can work wonders. Apply half a cup of honey to clean, damp hair and let it sit for 20 minutes before rinsing. To break up the honey and add a little bit more moisture, you can add 1-2 tablespoons of olive oil. To add moisture and volume, this mask will work wonders. Mix together one egg yolk, half a cup of honey, 2 tablespoons of olive oil and 2 small ripe avocados. Let it sit for an hour or two before rinsing and shampooing like normal. It may take a long time, but it will be worth the pay off. If you are tight on time, apply the mixture to bangs and the hairs around the face, because those areas tend to need the most lift and moisture. Be sure to try these homemade treatments and let us know how they work! While the days may be getting longer, winter is still very much upon us. Cold winter temperatures often dry our hair out, creating static and frizz. Luckily, from quick fixes to more intense measures, we have some ways to help you calm the winter frizz and have smooth silky hair all year long! When you wash your hair, the naturally produced oils are washed from the hair. Washing your hair less will allow those natural oils to work their way back into the hair which will calm frizz and help dryness. Along with washing your hair less frequently, thoroughly brushing it will help to distribute oils in your hair. If you shy away from washing your hair less because your roots get oily, you may need to brush your hair more often. This will redistribute the oil from your roots, and help with the frizz and dryness at the same time. While washing your hair will strip the natural oils, conditioner helps to replenish moisture to the hair. 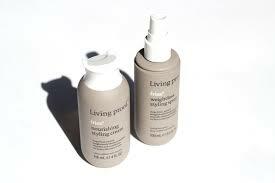 Living Proof’s No Frizz and Kevin Murphy’s Hydrate Me lines are essentials for fighting dryness and they are light enough for daily use. 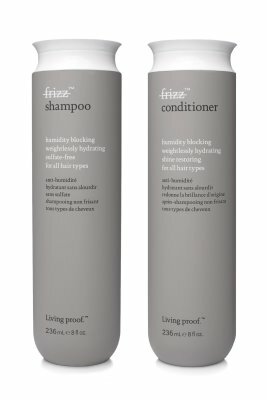 The Living Proof No Frizz line will also help fight frizz. Sometimes using extra conditioner just won’t cut it. While they are too heavy for everyday use, moisture masques are great as a weekly treatment to restore moisture to dry, damaged hair. These treatments are often left on the hair for 5-15 minutes before rinsing, so they are easy to throw on before you get in the shower! 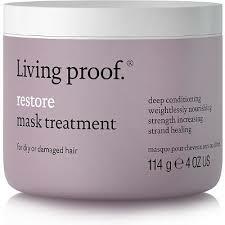 Living Proof’s Restore Hair Masque and Kevin Murphy’s Born Again are both fantastic options. After you get out of the shower, you can add extra moisture to your hair with the help of a few products. 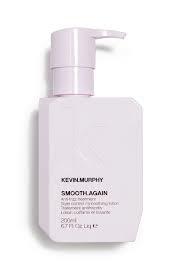 There are different products for every hair type, but Living Proof’s Nourishing Styler (cream for thicker hair or spray for finer hair) and Kevin Murphy’s Smooth Again are good go-to products. Dealing with frizz and dry hair during the winter can be incredibly frustrating, but these tips will help to prevent dryness and frizz and start to repair any damage that has already been done by the harsh weather. Who else is looking forward to the spring? Head to www.hairrepublic.ca or call 613-695-0789 to book an appointment today!